TrustAfrica working together with the Ford Foundation, MacArthur Foundation and Open Society Foundations have come together to establish a fund to support Nigeria’s efforts against corruption and address problems around criminal justice administration. In support of the Federal Government’s efforts, an Anti-Corruption and Criminal Justice Reform Fund has been established by three international development partners namely the Ford Foundation, MacArthur Foundation and Open Society Foundation. A $5 million fund will support the development and implementation of reforms to address corruption in Nigeria. The Anti-Corruption and Criminal Justice Reform Fund is managed by Trust Africa, an international development Civil Society Organization with programme presence in more than 25 African countries. The John D. and Catherine T. MacArthur Foundation supports creative people, effective institutions, and influential networks building a more just, verdant, and peaceful world. MacArthur is placing a few big bets that truly significant progress is possible on some of the world’s most pressing social challenges, including over-incarceration, global climate change, nuclear risk, and significantly increasing financial capital for the social sector. In addition to the MacArthur Fellows Program, the Foundation continues its historic commitments to the role of journalism in a responsible and responsive democracy, as well as the strength and vitality of their headquarters city, Chicago. John D. and Catherine T. MacArthur were quiet philanthropists in their lifetime, giving primarily to organizations in cities where they lived: Chicago and Palm Beach. Their business interests, including the immensely successful Bankers Life and Casualty insurance company and real estate holdings concentrated in Florida, New York City, and Chicago, consumed most of their time and energy. On October 18, 1970 – after John’s longtime friend and attorney William T. Kirby convinced him that a foundation would allow his money to go to good use long after he was gone – the documents for the John D. and Catherine T. MacArthur Foundation were completed. John intentionally left the business of what to fund to the Foundation’s first board of directors, which included Catherine; Kirby; his son, Roderick; radio commentator Paul Harvey, a friend from Chicago whose popular program carried ads for Bankers Life; and Louis Feil, a business associate from New York. “I made the money; you guys will have to figure out what to do with it,” MacArthur told the board. This direction presented the Foundation’s first board with two challenges: how to divest responsibly the assets and how to shape a forward-looking organization that could change with society’s evolving challenges. When John died of cancer on January 6, 1978, the Foundation assumed his assets, estimated at $1 billion, and made its first two grants of $50,000 each to Amnesty International and the California League of Cities. 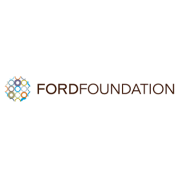 Since 1978, the Foundation has made grants totaling more than $6 billion in the United States and about 50 countries around the world. The Foundation’s first decade was challenging: assets to dispose of in a way that realized good value responsibly, tensions over grantmaking strategies, the task of assembling a staff and working out its relationship with directors who had also served as staff in the early days. A seminal figure of this period was the Foundation's first president, John Corbally, who, with his colleagues James Furman and William Kirby, helped the directors fashion the Foundation's early program: the MacArthur Fellows, support for public radio, investment in peace and security, mental health, and the environment among them. The second decade saw rapid expansion and experimentation, fueled by growing assets as Mr. MacArthur's real estate holdings were liquidated. New ventures included a leadership role in Chicago school reform and support for vigorous neighborhood development efforts in Chicago. The Foundation launched the Population Program, with field offices in Mexico, Nigeria, Brazil, and India. Shortly after the collapse of the Soviet Union, the Foundation opened an office in Moscow in support of its work to strengthen universities and policy institutes in the sciences and social sciences. Under Adele Simmons' creative leadership, the Foundation was reorganized to emphasize cross-cutting themes that illuminated the interconnectedness of problems it confronted and the complexity of their solutions. The third decade found the MacArthur Foundation in early adulthood: clear about its values, its mission, and areas of work in which it sought to make a difference. Under Jonathan Fanton’s leadership, the Foundation deepened investment in some of the Foundation’s most promising areas of work including human rights and international justice, juvenile justice, affordable housing, and community and economic development. He sought out and supported major new ideas, such as the Encyclopedia of Life and the Law and Neuroscience Project, and emphasized fewer grants but for larger amounts and longer periods of time to increase the impact of MacArthur’s grantmaking. From 2009 to 2014, Robert L. Gallucci changed the Foundation's culture and practices, embedding assessment in all programs to ensure their impact and giving the professional staff the freedom to apply their talents. He initiated a new area of grantmaking to strengthen American democracy at a critical and challenging time for the nation, and he launched the discovery grants process to spur innovative new ideas. Now led by President Julia Stasch, MacArthur is one of the nation’s largest independent foundations with assets of approximately $6.2 billion and annual giving of approximately $250 million. The MacArthur Foundation supports creative people, effective institutions, and influential networks building a more just, verdant, and peaceful world. MacArthur is placing a few big bets that truly significant progress is possible on some of the world’s most pressing social challenges, including over-incarceration, global climate change, nuclear risk, and significantly increasing financial capital for the social sector. In addition to the MacArthur Fellows Program, the Foundation continues its historic commitments to the role of journalism in a responsible and responsive democracy as well as the strength and vitality of their headquarters city, Chicago. 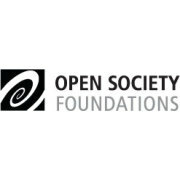 Investor and philanthropist George Soros established the Open Society Foundations, starting in 1984, to help countries make the transition from communism. Their activities have grown to encompass the United States and more than 70 countries in Europe, Asia, Africa, and Latin America. Each foundation relies on the expertise of boards composed of eminent citizens who determine individual agendas based on local priorities. They believe in fundamental human rights, dignity, and the rule of law. They believe in a society where all people are free to participate fully in civic, economic, and cultural life. They believe in addressing inequalities that cut across multiple lines, including race, class, gender, sexual orientation, and citizenship. They believe in holding those in power accountable for their actions and in increasing the power of historically excluded groups. They believe in helping people and communities press for change on their own behalf. They believe in responding quickly and flexibly to the most critical threats to open society. They believe in taking on controversial issues and supporting bold, innovative solutions that address root causes and advance systemic change. They believe in encouraging critical debate and respecting diverse opinions.